Get your hands on this unique Clear Red Rose bowling ball from KR. 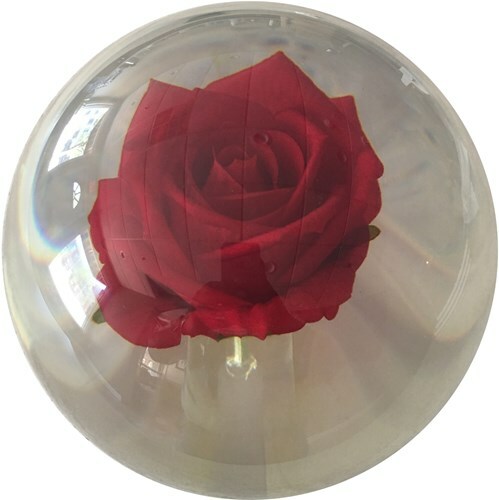 Due to the unique design of this ball it is only available in one weight. This ball is sure to be a hit either on the lanes or on display. I use it more as a spare ball then as a strike ball but it works for both. It looked so good, the guy at my local pro shop hated putting holes in it. Compliments will be made! Order was fast and delivered within days with the ground shipping. The picture does it no justice. The ball its self is much clearer that what is shown . I use it as my spare ball and it works perfectly. 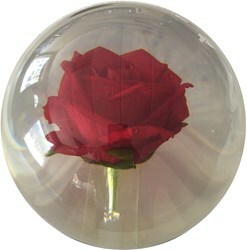 I NEED A 13 WEIGHT BALL IN THE ROSE PEAL BALL. Unfortunately, this ball is only being sold at 14 and 1/2 pounds. Why has the ball been set back 3 months? Did something happen with manufacturing? This is a new design that they have been working on and this is made overseas. KR does not want to release a ball unless the quality matches what they want for this ball. They are taking longer to make because they are making sure the quality is up to their standards before releasing this. We are sorry for any delay. Will the ball mostly go straight with someone throwing at a high rev rate? This is a plastic/spare ball and will only bowl straight. 1 of 3 customers found this answer helpful. Did you? Yes | No Did you find this answer helpful? Yes | No Thanks for your feedback! When is the expected release date? It will be sometime in November. So this is mainly a straight ball and not a curve ball? 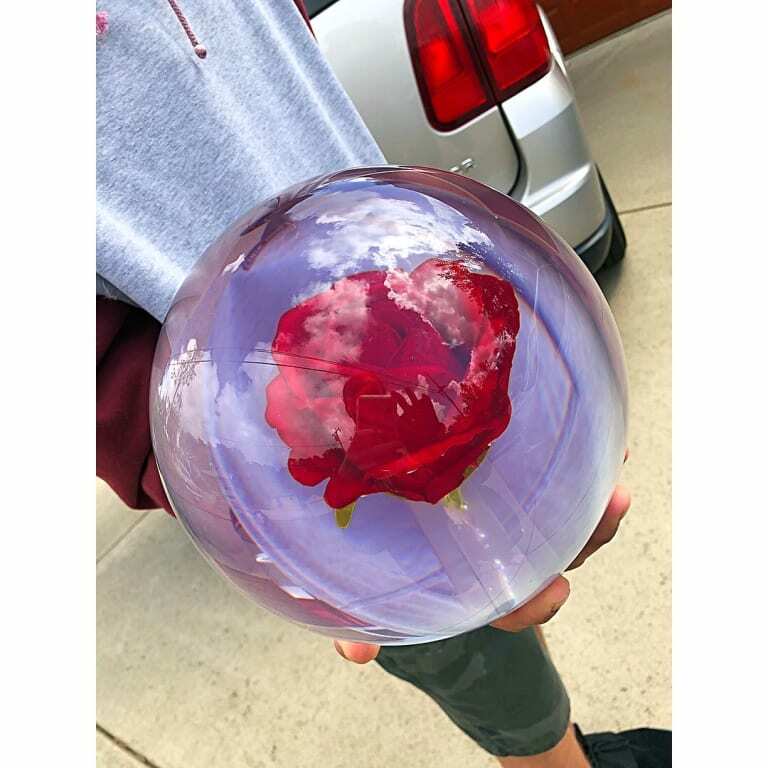 Would it be possible to sell this ball in lighter weights like 8 and 12? Unfortunately, this ball is only available in 14.5 pounds. This is a spare ball and can be used during PBA use. 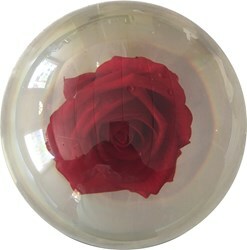 Most people purchase this ball as a decorative ball. Are these 1st quality, 2nd quality or blem versions? 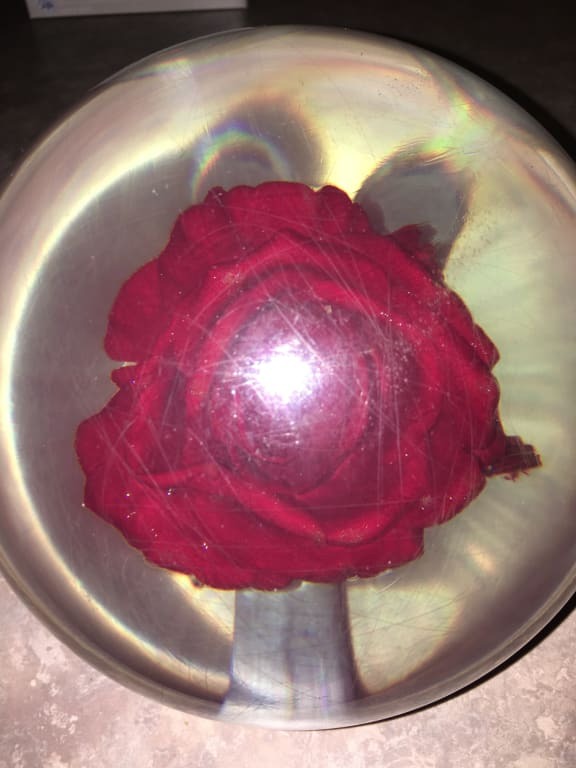 This will be a 1st quality ball. Due to the time it takes to produce the KR Strikeforce Clear Red Rose Ball ball it will ship in immediately. We cannot ship this ball outside the United States.